There are many brands of aluminium metal ceiling tiles in the market. How to compare and choose a high-quality ceiling for your decoration? This article from FONNOV ALUMINIUM can help you with more details from several aspects. Aluminum Ceiling Tiles are mainly divided into two types for application, one is the integrated aluminum ceiling tiles for home decoration and the other is the engineering aluminium ceiling tiles for the project. The specifications of household ceiling tiles are mainly 300MM*300MM, 400MM*400MM, 500MM*500MM, etc. The 300MM*300MM ceiling tile is the most popular size in the market. And this type of ceiling is more suitable for decoration of indoor kitchen and bathroom area. The engineering project aluminum ceiling tile has specifications of 300*600mm, 600*600mm, 600*1200mm, 300*1200mm, 300*1500mm, etc. The most commonly used specification is 600*600mm. It is widely used in high-grade buildings, offices, airports, stations, factories, hospitals, Banks, shopping malls, exhibition halls, etc. Many consumers have a misunderstanding, that is, the thicker the ceiling plate, the better the ceiling quality, the stronger the ceiling hardness. This has led many manufacturers to increase the overall thickness of the ceiling by increasing the thickness of the coating or film, which is very deceptive. Under the premise of using high-quality aluminum material, if the project does not clarify, FONNOV ALUMINIUM suggests thickness 0.6mm for home and general decoration, and 0.7-0.8mm for large projects decoration. These thicknesses of aluminum ceiling tile are the best performance with the best price, and fully able to meet the bearing strength. If the thickness is thicker, not only waste materials, but also increase the unnecessary economic burden. For large-sized ceiling panel for engineering application, the thickness is generally 0.8 mm or even thicker. Consult FONNOV ALUMINIUM for the appropriate thickness for your application. There are mainly three types of aluminum alloy used for the metal ceiling. The first type is aluminum-magnesium alloy which contains a part of magnesium. The biggest advantage of this aluminium alloy is its good oxidation resistance. At the same time, it is the best material for the ceiling because it has increased strength and rigidity by adding a proper amount of magnesium. The second type is aluminum-manganese alloy, the strength, and rigidity of the plate are slightly better than that of the aluminum-magnesium alloy, but the oxidation resistance is slightly insufficient. The third type is an aluminum alloy. The alloy contains less manganese and magnesium, so its strength and rigidity are obvious. But the aluminum-magnesium alloy and aluminum-manganese alloy are common on the oxidation resistance. The raw material of the aluminum is also the standard for judging the quality of the aluminum ceiling. Grab the entire aluminum plate at the corner to check the elasticity and toughness of the plate. The high-quality aluminum ceiling plate is made of high-quality pure aluminum or alloyed aluminum with suitable toughness and strength. The aluminum ceiling panel of poor quality is made of inferior aluminum material. What is more, the aluminum ceiling is produced by recycling waste aluminum containing harmful substances such as chromium, lead, and mercury. The hardness of the whole plate is very hard and there is no elasticity. The surface treatment of the aluminum ceiling can be divided into the pre-coated surface and powder coated surface. The powder-coated ceiling plate is the most popular one in the market; the pre-coated surface of the aluminium ceiling panel is uniform and smooth, and has no leakage coating, shrinkage, scratching, falling off, etc. ; when purchasing, the surface of the aluminum ceiling can be judged to be smooth by the hand feeling, fine and consistent in color. The color and service life of the coating need to be guaranteed. 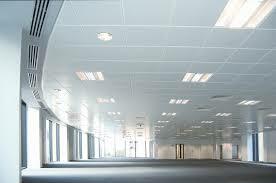 Acoustic functions are involved in the ceiling system. 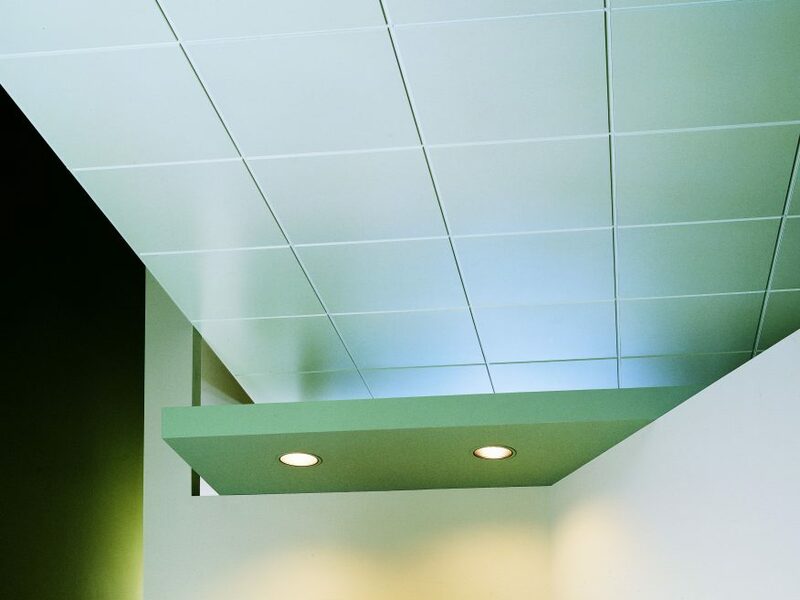 The sound-absorbing holes of the ceiling and the sound absorbing material on the back of the ceiling plate make each ceiling easily convert into a sound-absorbing metal ceiling, which helps to increase the total absorption capacity of the entire enclosed space and reduce the impact of noise. Different perforation form can provide different sound-absorbing open area ratios (punching ratios) to meet different levels of sound-absorbing requirements in confined spaces. The non-woven sound absorbing paper has a very good sound absorption and noise reduction effect. Soundex sound absorbing materials are high-quality sound absorbing materials that are generally accepted on the market. It is best to choose a durable galvanized light steel channel for aluminum ceiling tiles. The surface treatment of the channel is particularly important. The galvanizing process of the light steel channel directly affects its moisture resistance. The surface is snowflake of high quality galvanized channel. When purchasing a metal ceiling, you can pay attention to the channel and choose the one has a snow-like galvanized surface. If the snowflake pattern is clear, the hand feels hard, and the gap is small, it must be a better quality channel. A digital marketing expert, Google SEO expert, 3 years freelancer. Love pets, traveling, technology, and politics.